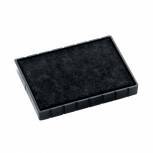 Q-Connect Medium Stamp Pad Black KF25211 Pack of 1 Q-Connect Medium Stamp Pad Metal Case Black KF25211 High capacity sponge pad allows the maximum number of impressions before re-inking is necessary. Sturdy plastic case. Supplied in a metal case. 3 blue which is plastic. 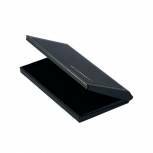 Q-Connect Large Stamp Pad Black KF15440 Pack of 1 Q-Connect Large Stamp Pad Metal Case Black KF15440 High capacity sponge pad allows the maximum number of impressions before re-inking is necessary. Sturdy plastic case. Supplied in a metal case. 3 blue which is plastic. 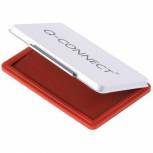 Q-Connect Large Stamp Pad Red KF15441 Pack of 1 Q-Connect Large Stamp Pad Metal Case Red KF15441 High capacity sponge pad allows the maximum number of impressions before re-inking is necessary. Sturdy plastic case. Supplied in a metal case. 3 blue which is plastic. 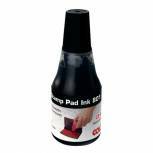 COLOP 801 Stamp Pad Ink 25ml Black 801BK Pack of 1 Colop stamp pad ink. Water based ink to be used with Colop Micro stamp pads. 25ml. Black. 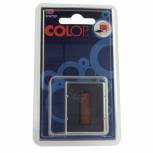 COLOP E/4750 Replacement Ink Pad Blue/Red (Pack of 2) E4750 Pack of 1 Replacement ink pad for the Colop 4750 and 4755 stampers. Two colour. 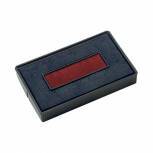 COLOP 801 Stamp Pad Ink 25ml Red 801RD Pack of 1 Colop stamp pad ink. Water based ink to be used with Colop Micro stamp pads. 25ml. Red. 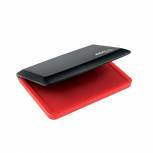 COLOP E/20 Replacement Ink Pad Red (Pack of 2) E20RD Pack of 1 Colop E/20 replacement ink pad for use with the Colop Printer stamps. Red. 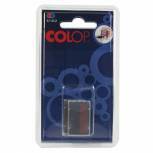 COLOP E/10/2 Replacement Ink Pad Blue/Red (Pack of 2) E/10/2 Pack of 1 Colop E/10/2 two colour replacement ink pad for use with Colop Printer S160/L1 and S160/L2. Blue/Red. COLOP E/200/2 Replacement Ink Pad Blue/Red (Pack of 2) E/200/2 Pack of 1 Colop E/200 two colour ink pad for use with the S260 DIY text date stamp EM30022. Colour Blue/Red. 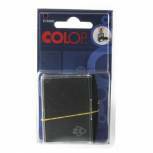 COLOP Micro 3 Stamp Pad Black MICRO3BK Pack of 1 Colop stamp pad made from top quality long lasting felt. Suitable for all kinds of rubber stamps. Can be re-inked using Colop 801 ink. Size: 160 x 90mm. Colour: Black. 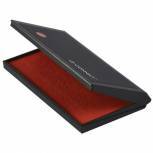 Q-Connect Medium Stamp Pad Red KF25212 Pack of 1 Q-Connect Medium Stamp Pad Metal Case Red KF25212 High capacity sponge pad allows the maximum number of impressions before re-inking is necessary. Sturdy plastic case. Supplied in a metal case. 3 blue which is plastic. 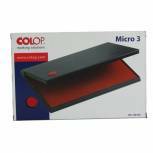 COLOP Micro 3 Stamp Pad Red MICRO3RD Pack of 1 Colop stamp pad made from top quality long lasting felt. Suitable for all kinds of rubber stamps. Can be re-inked using Colop 801 ink. Size: 160 x 90mm. Colour: Red. COLOP E/2600 Replacement Ink Pad Black (Pack of 2) E2600BK Pack of 1 Colop E/2600 spare ink pad for use with Classic 2600, 2660, 2008/K165, 2008/10, Office S 400, S 600, S 608, S 608/P, S 610, S 610/P, S 660 stamps. Each pad is electronically inked with highly concentrated ink . Microporous surface. Black. 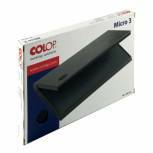 COLOP E/38 Replacement Ink Pad Black (Pack of 2) 134041 Pack of 1 COLOP E/38 Replacement Ink Pad Black Pack of 2 134041. For use with COLOP Printer 38 Series Date Stamps. Prints thousands of impressions. 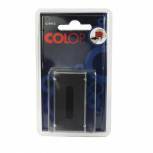 COLOP E/200 Replacement Ink Pad Black (Pack of 2) E200BK Pack of 1 Colop E/200 replacement ink pad for use with the Colop S200, S220, S220W, S226, S226/P and S260 daters. Black. 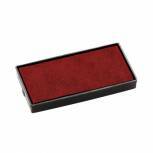 COLOP Micro 2 Stamp Pad Red MICRO2RD Pack of 1 Colop stamp pad made from top quality long lasting felt. Suitable for all kinds of rubber stamps. Can be re-inked using Colop 801 ink. 110 x 70mm. Red. 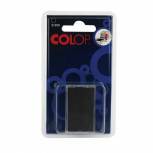 COLOP E/4913 Replacement Ink Pad Black (Pack of 2) E4913 Pack of 1 Colop spare ink pad for use with 4913 and 4953 stamps. Each pad is electronically inked with highly concentrated ink. The microporous surface layer provides a constant clear imprint. Black. 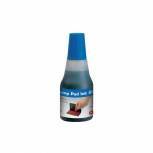 COLOP 801 Stamp Pad Ink 25ml Blue 801BE Pack of 1 Colop stamp pad ink. Water based ink to be used with Colop Micro stamp pads. 25ml. Blue.